Together with ICE, there are other big name groups backing the new platform. This includes Microsoft, BCG, and Starbucks. After this major announcement, there were several mainstream media outlets that posted misleading reports. Some of these media outlets are CNBC and Bloomberg, which reported misrepresentative headlines including that of the new partnership between Starbucks and Microsoft. Based on CNCB’s report, this partnership allowed customers to pay for their Frappuccino using bitcoin. CNCB’s headline directly implied that Starbucks and Microsoft’s partnership means customers will be able to purchase Starbucks items with cryptocurrency. A spokesperson clarified the deceptive reports in comments to Motherboard. According to the multinational coffee chain, their customers won’t be able to pay for their Frappucinos or other coffees using bitcoin and other cryptocurrencies. Rather than that, the company is now a part of the new venture, where Microsoft is also a part of. The new venture is the one creating “Bakkt”, a digital platform that serves to convert digital assets such as Bitcoin into U.S. dollars. It means that customers can use “Bakkt” to convert their cryptos to convert them to dollars, which they can then use to pay their Starbucks. The spokesperson also adds that they are announcing the launch of the platform that can be used to trade and convert Bitcoins at the moment. However, they are also continuously discussing with regulators and customers about how they can improve their service and accommodate cryptocurrencies while the space evolves. 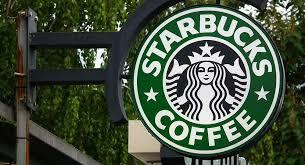 On an official press release of Starbucks issued on Friday, they further elaborated about the project. In it, they stated that it would also consist of Bitcoin futures that are physically delivered but pending regulation. On that note, the New York Times reported in May that sources suggested ICE had been considering about introducing physically-delivered BTC futures contracts. The Friday news confirmed this move. Along with the news of Starbucks involvement in new cryptocurrency venture, there was also news in late July about the need for a trusted custodian. A crypto entrepreneur and former executive of Wall Street voiced the crypto markets require a “trusted, name custodian” that helps institutional investors to be comfortable.